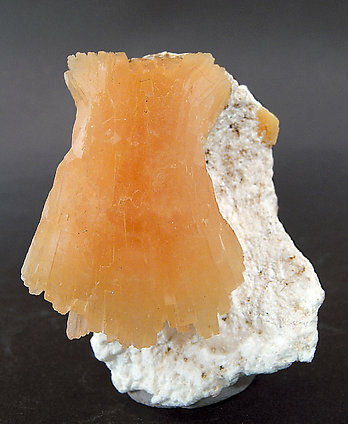 Huge fan at the top of the specimen on other doubly terminated crystals with minor white matrix and the characteristic transparency, intense color, and great luster typical of this find. Doubly terminated crystal aerial on its white matrix and the characteristic transparency, intense color, and great luster typical of this find. 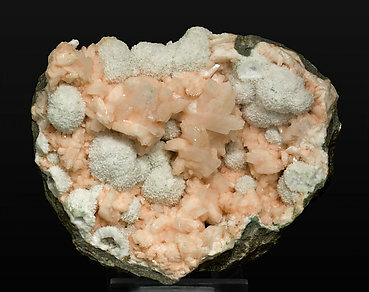 Groups of crystals with very well defined faces and edges, of an unusually intense pink color, with globular growths of white acicular crystals of Scolecite and on a basaltic matrix. 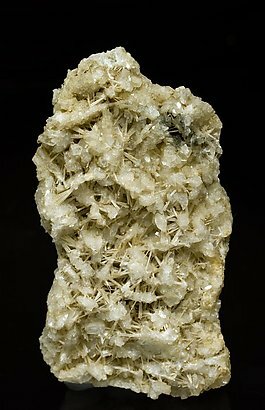 Small isolated crystals of Heulandite-Ca that are translucent and very bright, with acicular crystals of Scolecite. 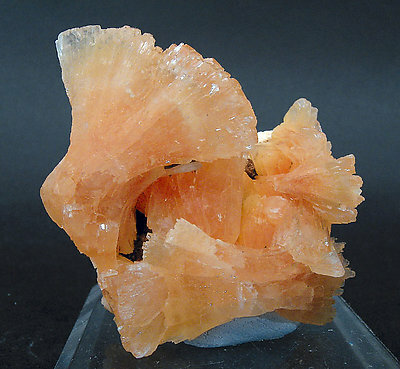 The sample is from a very well known classic Swiss locality where zeolites are rare.